"Diary of a Beholder" in Official Selection of the 6th Fine Arts Film Festival 2019 in Venice and San Pedro (USA). The FAFF, is taking place on May 24-26 in California, presents the best films about art from around the world. 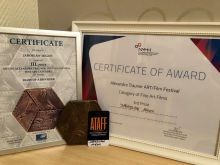 The film "Diary of a Beholder" was awarded at the Alexandre Trauner Art Film Festival in Szolnok, Hungary. The film in the main competition took third place. GRAND PRIX for Diary of a Beholder at 21th Zakopane Festival of Films about Art. The Closing Gala of the 21th Zakopane Festival of Films about Art took place at Zakopane Cultural Center. “Diary of a Beholder” received the “GRAND PRIX” statuette and 10 000 pln as the best movie about art. The Jury consisting of: Jan Kanty Pawluśkiewicz, Zofia Gołubiew, Jan Wierzejski, Beata Majcher, Lidia Rosińska-Podleśny and Sławomir Idziak - voted unanimous on our film. 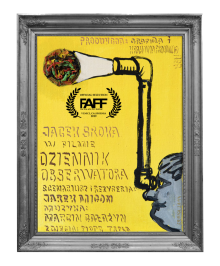 Diary of a Beholder in official selection at 21th Zakopane Festival of Films about Art. Diary of a Beholder is selected at the 21th Zakopane Festival of Films about Art. The event take place from April 11 to 15, 2018. 31 from over 160, documentary films made by filmmakers will be presented. The screening of Our film will take place in cinema "Miejsce" (Zakopane, 2 Orkana street) on Friday, 13/08/2018 at 13:00 pm. Diary of a Beholder is selected at the 29th Polish Film Festival in America. The event take place from November 4 to 19, 2017 in two premier cinematic venues in the Chicagoland. Over seventy feature, documentary and animated films made by Polish filmmakers will be presented. Throughout the Festival, audience members will vote for the most interesting feature and documentary film. The winners will receive the “Golden Teeth” Award. The Chicago’s premier of our documentary film will take place in GALLERY THEATRE (1112 N. Milwaukee Ave., Chicago, IL) on TUESDAY, 11/08/2017 at 7:00 pm. Special screening of the "Diary of a Beholder"
We would like invite everyone to the special screening of the "Diary of a Beholder" on Friday, 26 May 2017 at 6:30 p.m. in the MIKRO cinema (ul. Lea 5, Kraków). On May 10, 2017, the Gala of World Media Festival 2017 took place in Hamburg. As was announced, “Diary of a Beholder” received the “Intermedia-globe GOLD” statuette, collected by Jarosław Migoń (scriptwriter, director, producer) and Francisco Bassignana Ravinet (Krakovia Producciones - co-producer). But there was more – the film received awards in two other categories as well: the “Intermedia Special Award - MAGIC EYE” for the best cinematography and the “Intermedia-globe GRAND AWARD”. We have received confirmation from World Media Festival in Hamburg. 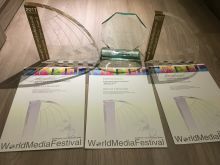 "Congratulations - DIARY OF A BEHOLDER is a award winner at this year's WorldMediaFestival! As we only inform you, the media entrant, please pass on the good news..." So we are doing it right now! 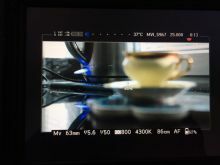 The end of post-production stage. Marcin is polishing the music, 98% complete already. All the material then goes into the MAQ RECORDS studio, where Michał Rosicki and team take the sound to pieces and then reassemble all the elements together. After several weeks’ work (luckily, not without breaks) the film closes at 97 minutes. Because of our film festival plans, it will have to be edited down to 62 minutes. Marcin Gałażyn is working on the music. Most accordion tracks will be played and recorded from scratch. Music for the domestic scenes will have a wholly different feel. We must hurry, because the Motion Trio concert tour in France starts on 20th January, and so the music must be ready for mixing before that. The sets are completed. The materials are ready. We are beginning the post-production, which will run into January 2017.  We want to make the selection for the Kraków Film Festival. Jarek Migoń, in collaboration with Tomek Tomaszewski, is responsible for editing. Michał Rosicki and MAQ Records studio work on the sound. Diary of a Beholder” starts rolling. We began filming on the set of the "Diary of a Beholder". Filming in the artist's home will take eight days. We have also planned scenes in: the Cracow Philharmonic, tramline No. 20, and time-lapse sessions in the streets of Krakow. A tight crew on the set: Piotr Trela, Kamil Lampart, Tomasz Stańco, Mirek Gibas, Edyta Lichota, Kuba Szumowski and Jaroslaw Migoń. We concluded talks with a potential partner. 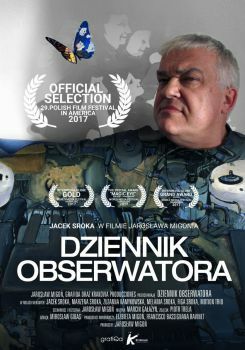 The film will be a co-production between Poland (Jarosław Migoń / grafiQa Elizabeth Migoń) and Chile (Krakovia Producciones).